Fab Fascias and Windows Ltd - Fascia/Soffits/Guttering, Windows/Doors/Conservatories based in Minster on Sea, Kent. Invoice history based on 549 reviews. We have been established since 2011 and have many installations in the Kent area. If you would like a free estimate, there is no hard sale or obligation ! 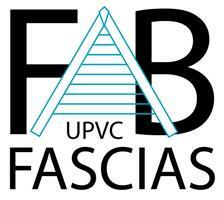 Fab Fascias and Windows LTD are a small company based in Maidstone, Kent. We cover a large area and pride ourselves on doing a first class installation. 10 Year guarantee on roof line, guttering and double glazing installations. We install Fascias, Soffits, Cladding, Barge boards, Guttering, Down pipes, Windows, doors and conservatories. Our installation team have many years experience and we now have a portfolio of work spread over Kent, Essex and Sussex. Please contact us and we promise a competitive price with a 5 star product and fitting service. Free estimates and work carried out within 40 miles of Maidstone. Payments can be made by cheque, cash, BACCS, debit or credit card. Please call for discount for an advert board and if you recommend a neighbour!